Our student volunteers are either part of following organizations or supporters of them. You invite you to support them as well. StHS Symphony Orchestra has received unanimous superior ratings at California State Rating Festivals for the past 26 years. 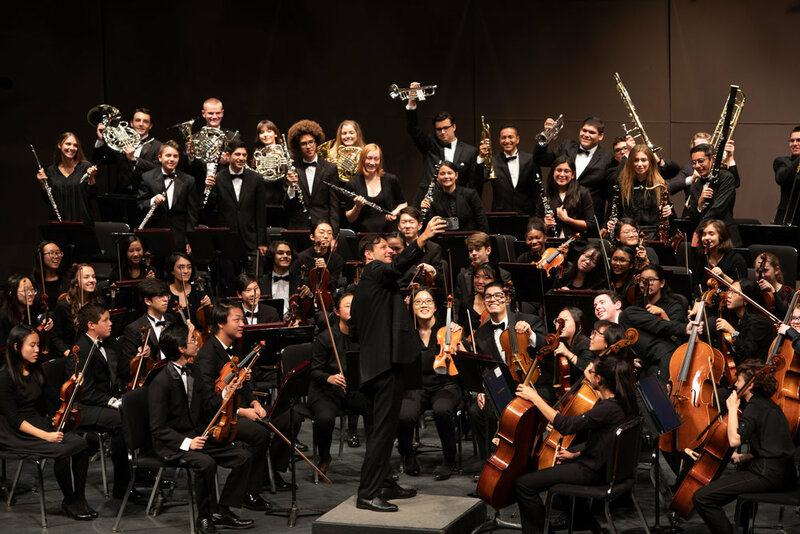 Members of the StHS Orchestra always make up a large percentage of our local Kern County High School Honor Orchestra and Bakersfield Youth Symphony Orchestra. In 1995, the PBVUSD Strolling Strings was founded by Mrs. Elaine LeCain and Mrs. Marcia Maynard with the guidance and support of Mr. Dennis Herbst, retired Visual and Performing Arts Coordinator for the District. The Strolling Strings Team continues the tradition of outstanding performances with the excellent teaching of Miss Annalise Perone, Mrs. Regina Pryor, Mrs. Teresa Rizo, Mr. James Sproul and Mrs. Amy McGuire, Visual and Performing Arts Administrator for the District. The Panama-Buena Vista Union School District Strolling Strings group is unique because they require the violinists and violists to stroll out into the audience as they perform. This builds rapport and communication between the audience and the performers. Beginning in 1932 with a nucleus of determined, dedicated and talented individuals, and expanding over decades into the multi-faceted organization it is today, the existence of the Bakersfield Symphony Orchestra is at once a tribute both to the individual contributions of its many players and to the community it serves. The Bakersfield Symphony Orchestra performs six concerts as part of the seasonal lineup with guests and soloist visiting from around the world. Other special concerts are added at various times with a variety of styles. Music Director / Conductor for the BSO is Stilian Kirov.